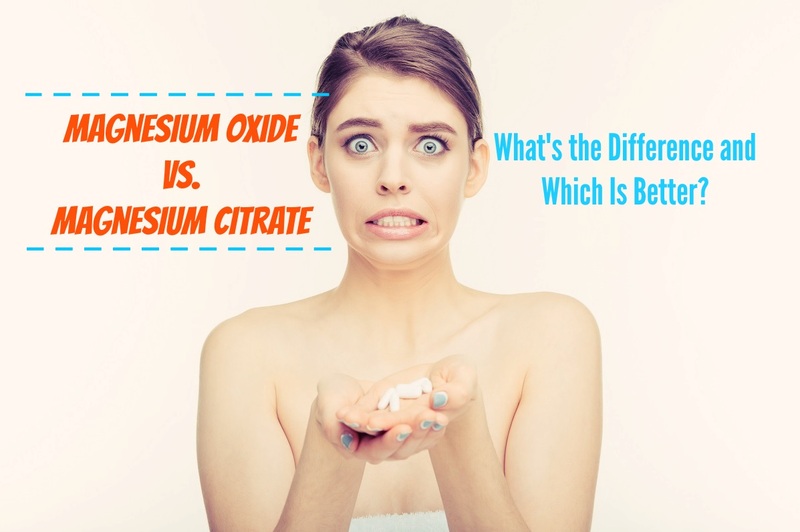 Home » Blog » Magnesium Oxide vs. Magnesium Citrate – What’s the Difference and Which Is Better? Magnesium Oxide vs. Magnesium Citrate – What’s the Difference and Which Is Better? Magnesium can help to alleviate a variety of health problems. There are several different kinds of magnesium supplements available on the market. What are the differences between these supplements? Which is the better choice for most people? Understanding the functions of magnesium citrate and magnesium oxide is crucial to making the best decision for your health. Magnesium is a metal that is essential to human health. The two most common magnesium salts on the market are magnesium citrate and magnesium oxide. These both contain magnesium in a form that can be absorbed and used in our bodies. Many modern people can benefit from a magnesium supplement. The processed foods that are most common in the modern Western diet are often depleted in this important element. Magnesium is also becoming depleted in the soil, so plants cannot absorb as much of it. This results in lower amounts of magnesium in foods that once offered a plentiful supply. Many people do not eat a large amount of magnesium-rich foods such as dark leafy greens, whole grains, nuts, and fish. 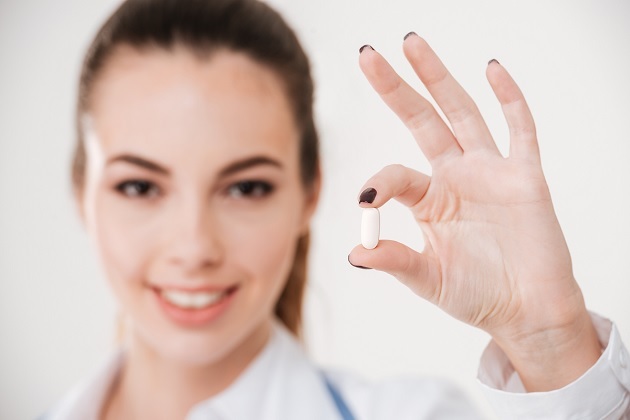 As a result, many doctors recommend that most people take a magnesium supplement or a multivitamin that contains it to ensure that they take in enough of this crucial element. This can be difficult as even extremely magnesium-rich foods have only 50 mg a serving. As a result, the average American takes in far less, an average of 250 mg a day. (6) Taking a supplement is often the best choice for people who do not wish to make extreme changes to their diet. People who drink a great deal of alcohol or take certain prescription drugs may need even more. Excess magnesium is quickly excreted out of the body by the kidneys. Our bodies carefully monitor magnesium levels so it is difficult to actually get too much. A few populations are at risk of an accidental overdose on magnesium. These include people with compromised kidney function or those who are on dialysis. In addition, it is possible to overdose on magnesium by taking super doses of many times the daily recommended allowance on a regular basis. People who take lithium and other medications that slow kidney function also should be aware. In a healthy person taking a moderate amount, however, there is very little risk. Nonetheless, people should watch out for the common side effects of taking too much magnesium, which include diarrhea, very low heart rate, and paralysis. However, there are also physical signs of a deficiency that indicate a more immediate need for this mineral. How can a person tell if they need more magnesium? In extreme deficiencies, people can even develop hallucinations, delirious behavior, and seizures. However, these are usually only caused by extremely dangerously low magnesium. Most people will have the milder symptoms listed above such as cramping and insomnia. People who develop signs of an extreme deficiency should be taken to the hospital, as this can quickly become a medical emergency. While magnesium cannot treat medical problems on its own, it can alleviate symptoms that are directly caused by a deficiency. It is important for people to get enough of this element, even if this requires taking a daily supplement. So, which supplement is the best choice? How Are Magnesium Citrate and Magnesium Oxide Different? Magnesium citrate and magnesium oxide both are magnesium salts, which means that they supply this metal to the human body in a usable form. There are a few differences between the two, which can affect the way that they work in the human body. First, magnesium citrate is absorbed more easily as a supplement. (9) This is due to the fact that this compound is more easily ionized and absorbed. Magnesium oxide contains more magnesium atoms per weight, so this often evens out. Oxide molecules are smaller than citrate ones. Thus, magnesium oxide will contain a larger portion of actual magnesium molecules. Price is another key difference. Magnesium oxide is naturally occurring while magnesium citrate has to be manufactured in a laboratory. As a result, magnesium oxide is significantly less expensive and often easier to find. While doctors once believed that magnesium oxide was not absorbed in sufficient quantities, newer studies show that it is absorbed well enough to be a very economical way of boosting magnesium levels. As a result, it is often used in many hospitals and clinics to treat low plasma magnesium levels. It is not absorbed as effectively, but the lower cost and higher concentration of magnesium molecules can partially compensate for this. There are several benefits to taking magnesium oxide. As mentioned before, it is much cheaper than other forms. This is an important consideration for many people. Another benefit of magnesium oxide is that it is very easy to find in stores. People who have limited access to health stores will be able to find it easily. As such, it is the preferred form of magnesium supplement for many people. Magnesium oxide contains more actual magnesium than other formulations, which can prevent or alleviate a deficiency more thoroughly. Larger amounts have to be taken due to its low absorption. Most of a magnesium oxide supplement will be excreted in the stool, which can, in turn, cause gastrointestinal side effects such as nausea, cramping, and diarrhea when taken in large quantities. In moderate amounts this is not common. Magnesium citrate is formed by chelating elemental magnesium with citric acid. This changes the magnesium metal to a salt form. The resulting compound is extremely easily absorbed in the intestines. This is partially due to the actions of citrate. Citrate can act as a mineral transporter in the lining of human intestines, which helps to move magnesium into the blood stream. Because magnesium citrate is quickly and easily absorbed, it is the most common type of this element in laxatives. Most people see almost immediate relief. The fast action is also useful when taking magnesium to reduce muscle cramps or otherwise treat acute medical problems. Which Type of Magnesium Is the Best Choice? Both types of magnesium supplement are sufficient to prevent low levels of this mineral. People who choose magnesium oxide will have to take more of the supplement. Those who have gastrointestinal side effects from taking supplements may benefit from taking magnesium citrate instead. People who are taking magnesium to solve an immediate problem, such as constipation or rapid heart rate, often see faster relief with magnesium citrate. This is due to how much more quickly it is absorbed. This is not a factor for people who simply want to get an easy daily supplement. Last, people who are concerned about the cost of supplementation will be happier with the price tag of magnesium oxide. Because most people can absorb enough magnesium from this supplement to keep their levels in a healthy range, this is usually the more economical choice. Taking a magnesium supplement can have very good health effects. Choosing the right supplement is important. However, there will be very little detectable difference between magnesium oxide and magnesium citrate for most people. As with all new supplements, talk to your doctor before starting any kind of magnesium. They can let you know which form and which dosage are the best choice for your unique health situation.